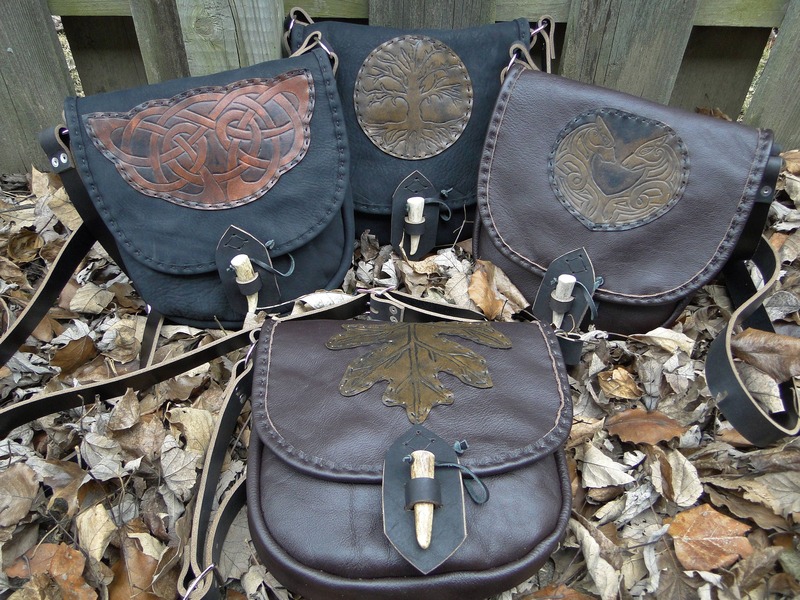 These beautiful one-of-a-kind purses are perfect for Renaissance fairs, art markets, an adventure in the woods, or just everyday use! Designed not only to look nice, but to be functional, sturdy and long lasting. 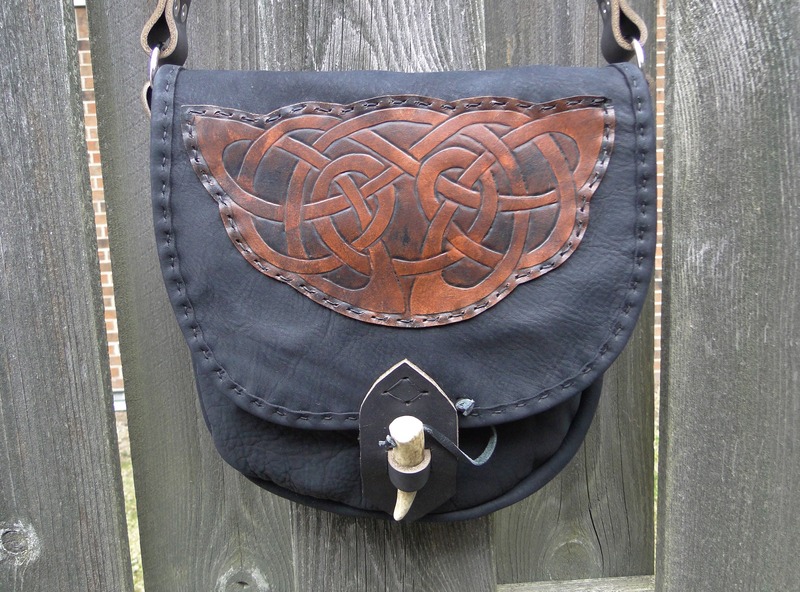 Flaps feature detailed hand tooled Celtic designs, you can choose your exact bag at checkout. 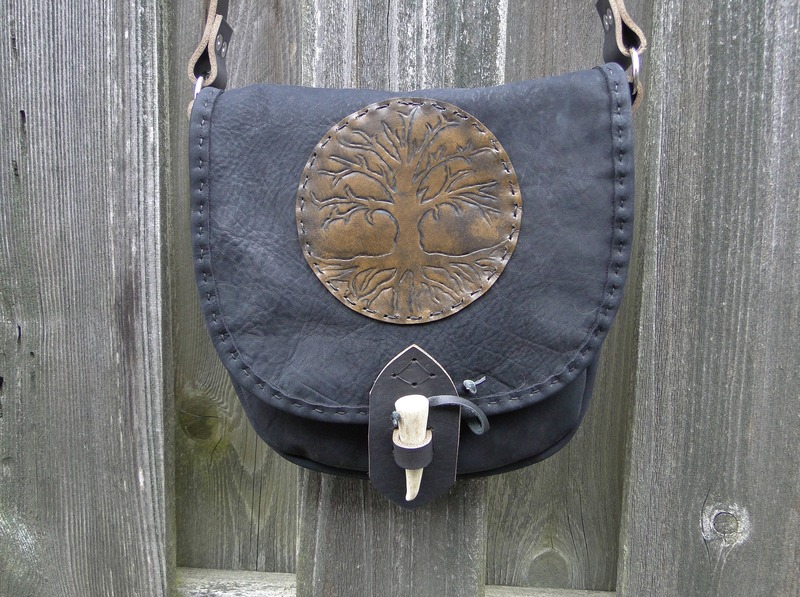 bags are made with high quality sturdy genuine leather. Closures are easily secured with a large deer antler point. 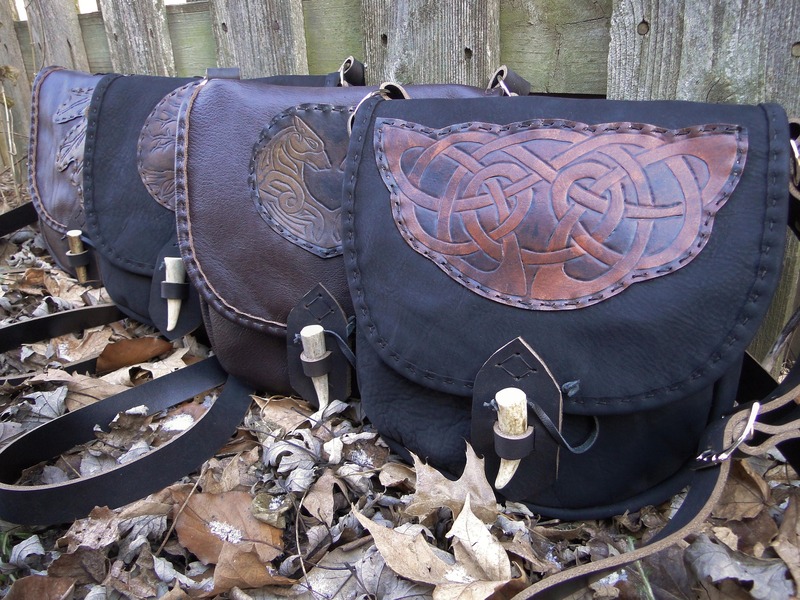 Great size able to comfortably hold a bottle of water, book, phone, large wallet, keys & more! 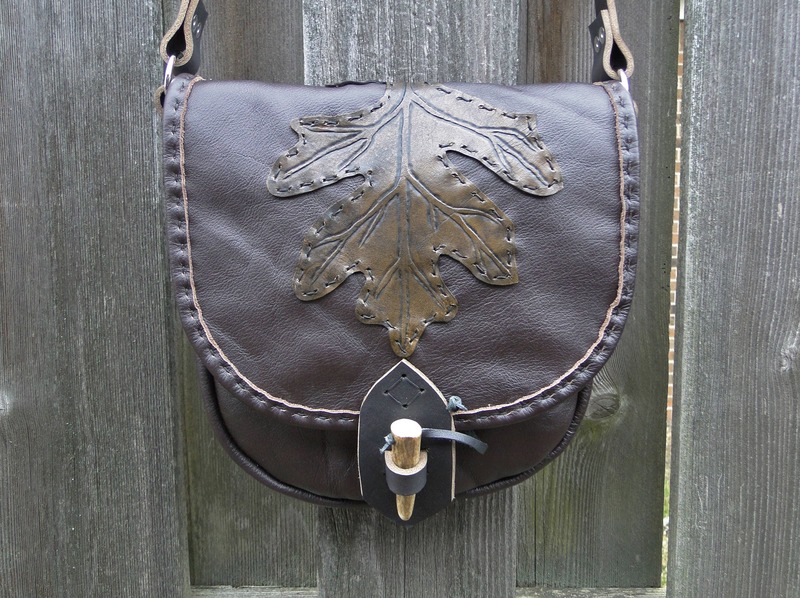 Cross body strap length is adjustable with sturdy buckles, from 46.5" to 51" long. If you want much shorter or longer, contact us for customization. >> Measurements: 10" tall x 8.5" wide, with a 2" deep gusset. 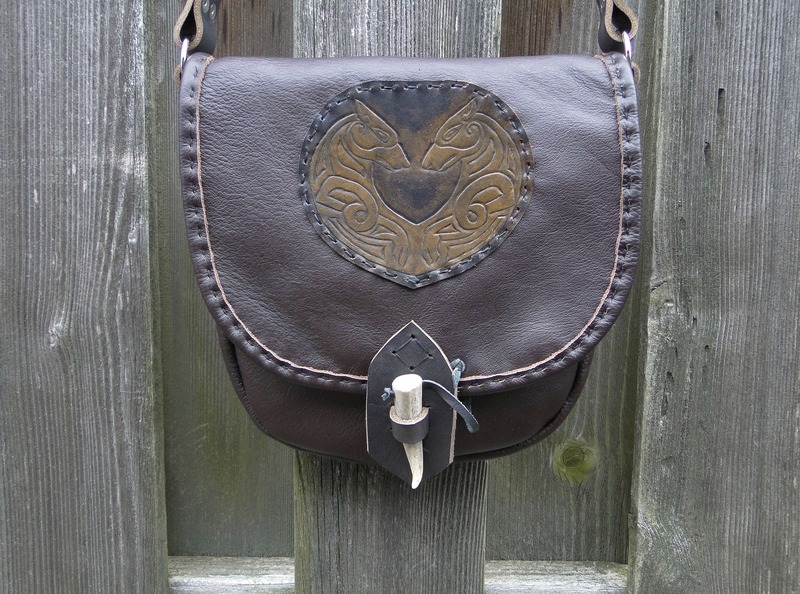 Also has a pocket for your phone inside! Which measures 7.5" tall x 5.5" wide. 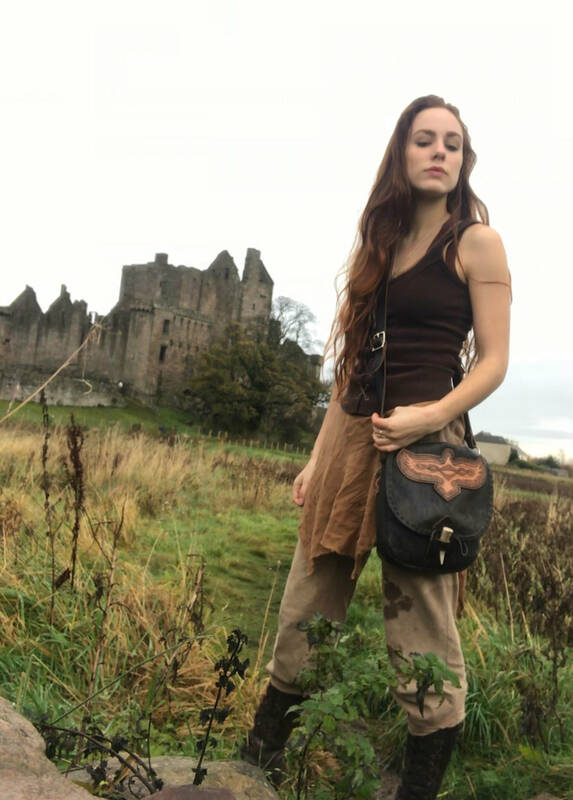 To see our full selection of leather bags, visit our shop.